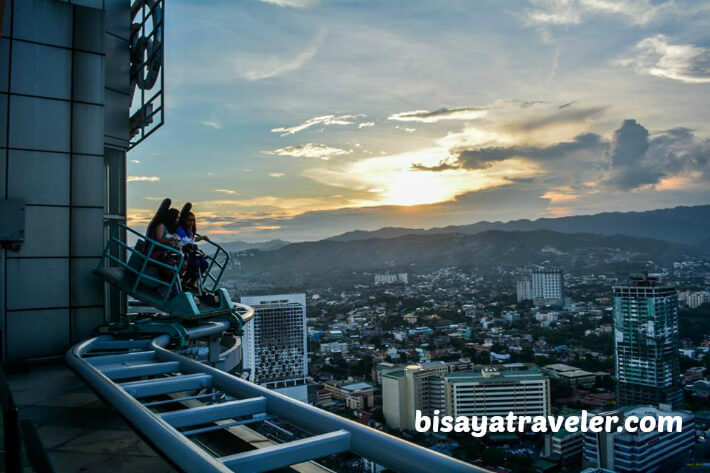 Despite its immense popularity and the obvious thrill that it offers, the Skywalk Extreme at Crown Regency wasn’t really an experience that I wanted to take in Cebu. Don’t get me wrong – I’ve never been afraid of heights, but I just thought that it was a bit cliché and too touristy for my taste, with countless of foreign visitors dropping by this mind-blowing attraction on a daily basis. Not to mention, I thought their rates were outrageous, for a quick 10-minute walk on Cebu’s wilder side. 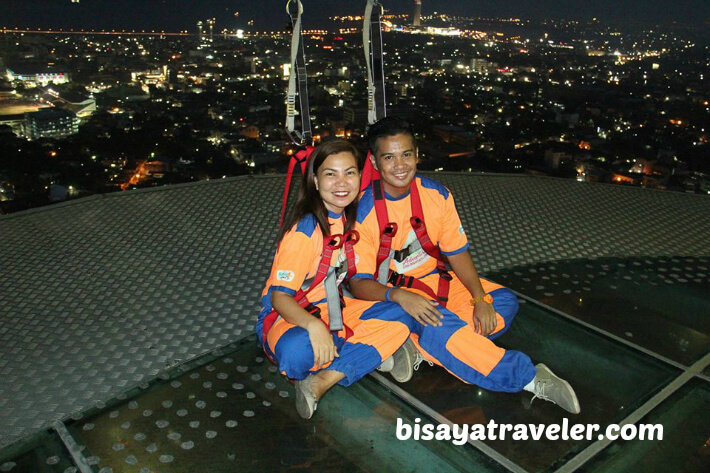 Yet, last Saturday, me and my sweet travel buddy went to Crown Regency, to finally experience the fabled Skywalk Extreme of Cebu. We had nothing exciting and fun to do last weekend, so we decided to try it, and see if it truly lives up to its hype. And besides, Tickets to Ride offered me a great deal that I couldn’t resist. Honestly, I’m glad we took this urban experience because it is without a doubt one of the must-try bucket-list-worthy things to do in Cebu. We bought the “Sky One” option for our one-of-kind Saturday date at Crown Regency, which includes entrance to the Sky Experience, a sumptuous international dinner buffet, and a ride of our choice. Not a bad combination, right? 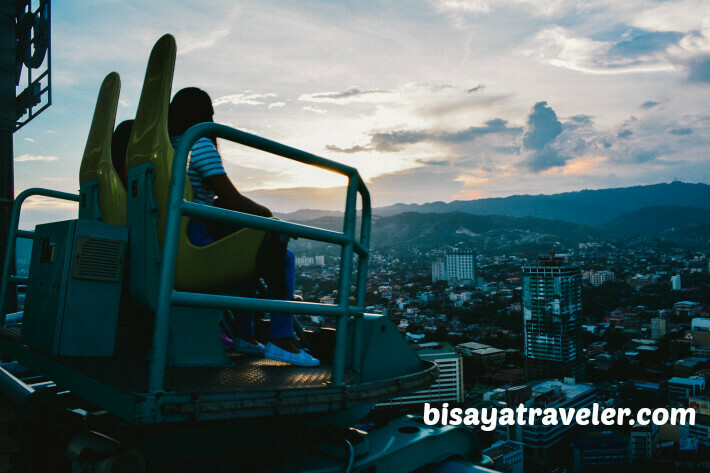 For the most part, the Sky One option costs around 750 PHP per person, but try to reach out to Tickets to Ride, and ask them if you can get discounts for this package. You can see the prices for the other options of this extraordinary urban adventure below. Don’t want to indulge on a hearty and tasty dinner at Sparkz Restobar? If you already have dinner reservations somewhere else, you may try the rides at the Sky Experience without the buffet option. 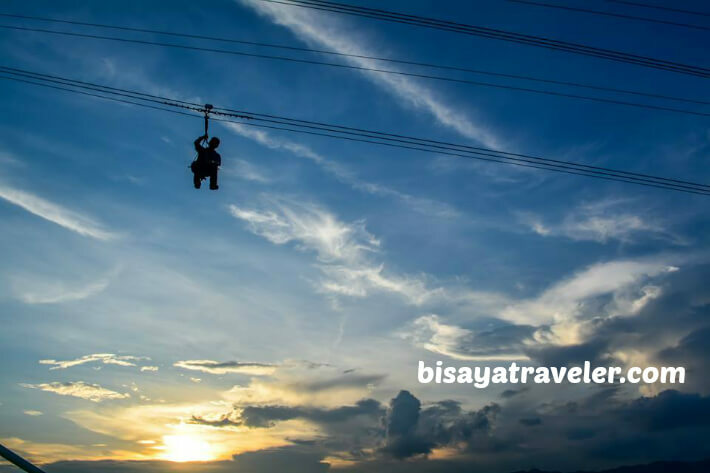 Here are the rates for the Sky Experience Adventure at Crown Regency Cebu. You can buy these tickets at the 19th floor of the building, or from a reliable travel agency. Either way, you need to make your way up to the front desk of the building’s 19th floor, when you go there, to register. Once there, the attendant will ask you for 100 PHP (for each group), as a deposit fee for their electronic watch, which will function as a ticket to the rides, facilities and restaurants. Your 100 PHP will ultimately be given back to you, after returning the watch to the front desk at the end of your urban escapade. Since we only had one ride in our ticket, we were literally torn between the Edge Coaster and Skywalk Extreme. Prior to our visit, we had already decided to take Skywalk Extreme, but the Edge Coaster was simply irresistible. But in the end, we picked Skywalk Extreme over Edge Coaster because it’s lets visitors see beautiful panoramas of Cebu at a much slower pace. Plus, I told her that the Edge Coaster is a lot scarier than the skywalk adventure since it gives people a feeling that they are about to fall off a towering building. Before we went to the Skywalk Extreme facility at the 37th floor, we took a tour around the 38th floor, to snap a few photos, and enjoy the lovely overlooking views. And the views were so great that even my good old pal, Bruce Wayne, joined the party. There were other folks as well as adventurous souls who tried the other rides of the building’s fascinating rides as well. Afterwards, we headed downstairs and into the front desk of the 37th floor. We informed the attendant that we’re going to take the Skywalk Extreme. Once again, we were asked to register and sign over our printed names. We were told that we cannot bring cameras, cellphones, watches, earrings, and other gadgets during the short tour. Luckily for us, there were lockers where visitors can store their items and belongings, as they take the Skywalk Extreme adventure. The lockers can be used for free, but you need to deposit 200 PHP for it, which will be returned to you, once you’re done with your surreal and thrilling walk. Later, we entered the waiting room wherein we were fitted with jumpsuits and harness supports. We waited there for a few minutes, and met some interesting people from other countries as well as other parts of the Philippines. Prior to the walk, a young photographer snapped a couple of photos of us for souvenir purposes. Afterwards, we were lead to the platform wherein our walk will commence. As we walked around the building’s outer rim, we were joined by other visitors as well as an informative guide and a snappy official photographer. As far as I can remember, there were three photo ops during the tour, with different poses and angles. Was it scary? It’s not exactly as scary as you might think. The truth is, my girlfriend is scared of heights, and yet she was still able to complete this course with a smile on her face. The views from the Skywalk Extreme rim, however, are a different story, and are nothing short of mesmerizing and breathtaking, especially at sunset or nighttime. 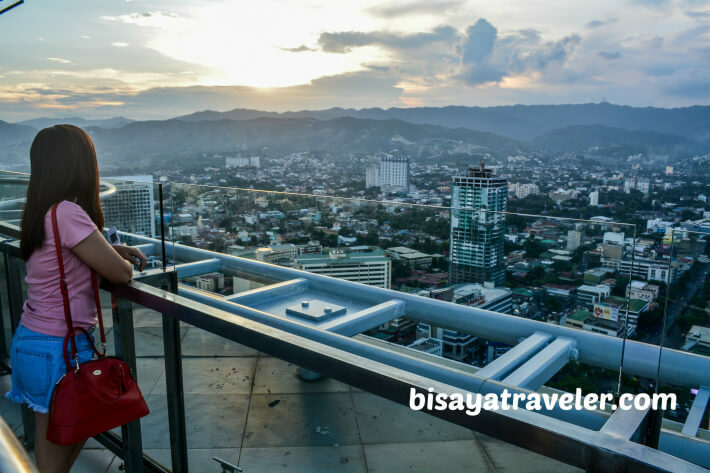 As far as I’m concerned, the views of Cebu from our Skywalk Extreme experience were the highlight of our little weekend adventure at Crown Regency Cebu. Sparkz Restobar was a godsend, and an atmospheric place that satiated our grumbling stomach. 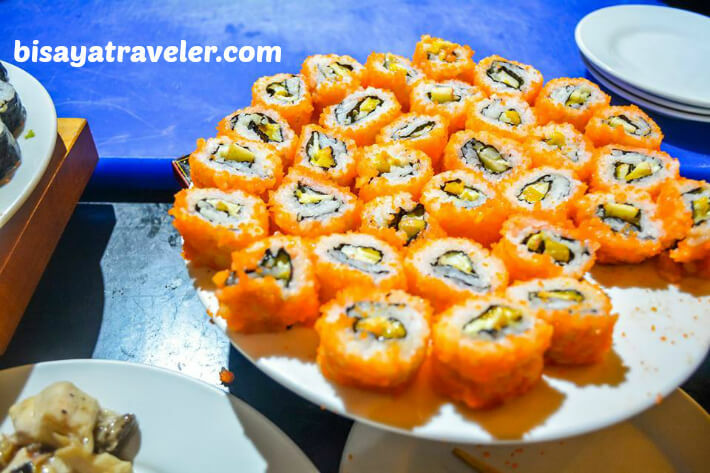 From tasty Japanese treats to traditional Filipino delicacies, Sparkz Restobar flaunted a wide array of international flavors and hearty dishes to please our taste buds. 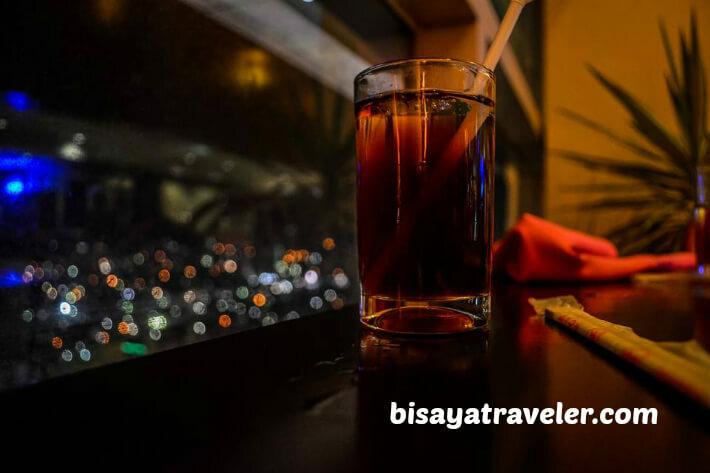 As an added plus, the restaurant offers sparkling overlooking views of the city of Cebu. But, our Saturday didn’t end on our filling dinner at Sparkz Restobar. 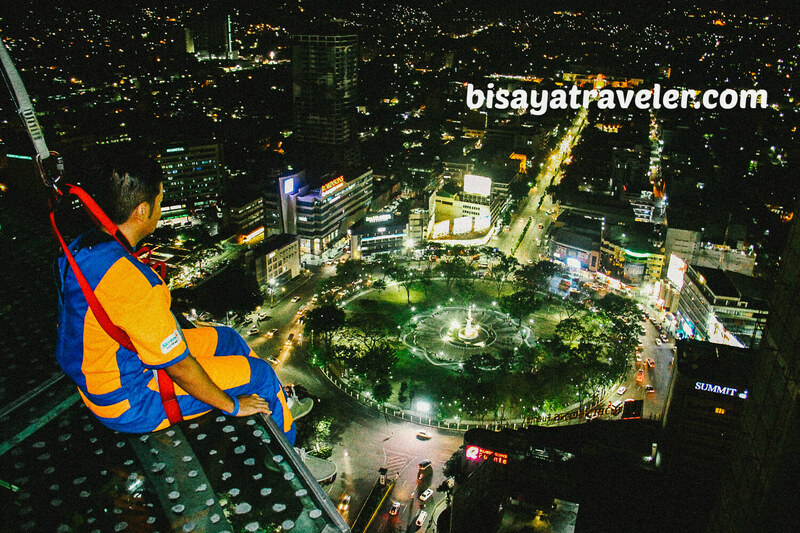 I wanted to end our urban escape in Cebu on a high note by enjoying the lovely nighttime views of the city at 418 feet high above Cebu’s streets. Though the weather wasn’t good, we still had captured a number of awesome snaps at the 38th floor of Crown Regency Cebu. 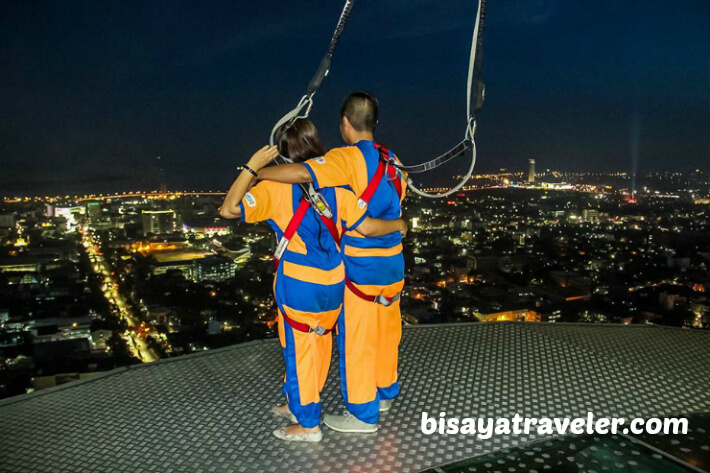 I must say the Skywalk Extreme experience is a nice and awesome ride that every visitor and local in Cebu should try at least once in their life. Not only will it unleash your inner adventurous side, but it will also reward you with views that will take your breath away. What’s more, it has tons of fabulous surprises that will make your experience even more enjoyable and memorable. I remember way back 2013, I was blessed to receive a gift check from crown regency to try this amazing skywalk adventure, but I couldn’t fight my fear of heights. So instead of using the gift check, I decided to allow my friend use it. I hope I have the courage just like you to attempt it again. We only tried the zipline in Crown Regency. The retrieval was scary! Hahahaha! We wanna climb that beautiful climbing wall there.